General Wilhelm von Thoma surrenders to Montgomery at the 8th Army HQ after the second Battle of El-Alamein on November 4th, 1942. Von Thoma unwittingly gave away the existence of the V1rocket program while a POW, leading to the mass bombing of the production sites. Von Throma was not a ‘Party’ soldier and earned a lot of respect in his captivity, not least from Churchill – “I sympathise with General von Thoma; defeated, in captivity…and dinners with Montgomery”. 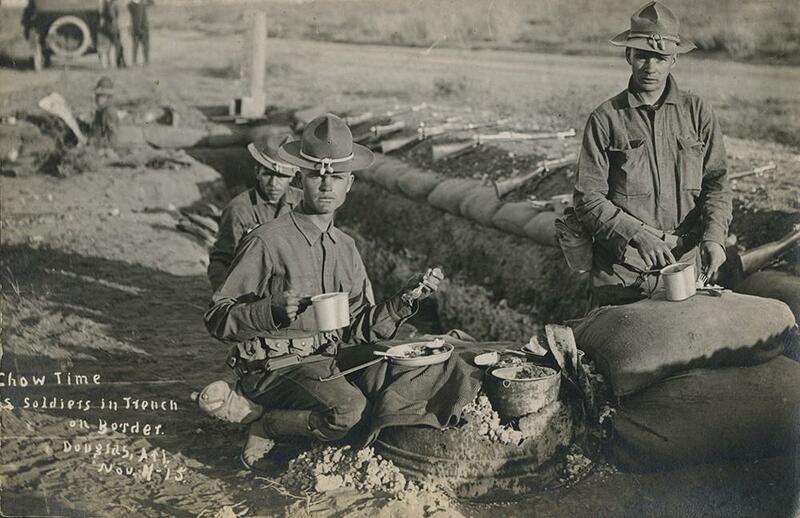 Missourians on an expedition into Mexico on the trail of Pancho Villa, 4th November, 1916. WAVES Aviation Machinist Mary Arnold jumping down from the fuselage of a Texan AT-6 at Naval Air Station, Jacksonville, Florida, 4th Nov 1943. 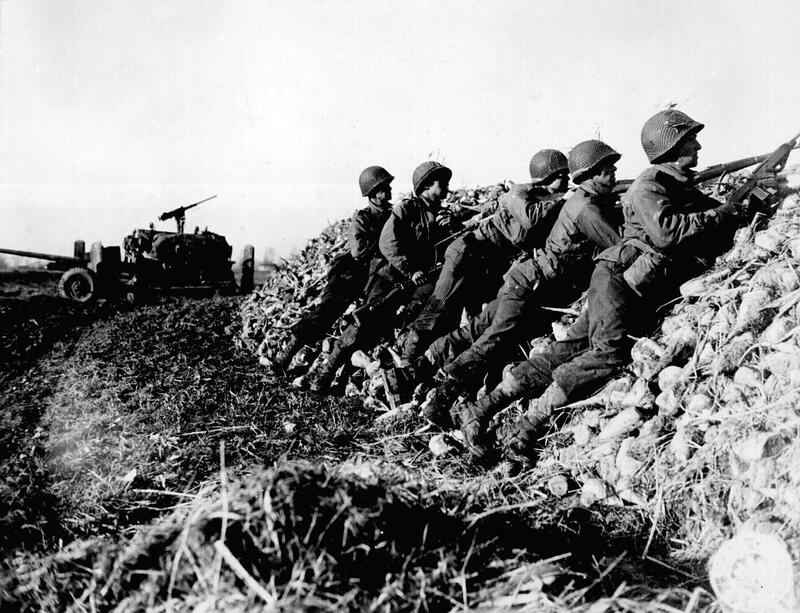 US Army anti-tank infantry search for the position of a German machine gun that had ambushed their vehicle, Holland, 4 Nov 1944. Children given the ‘all clear’ pick through bombed remains to fins small pieces of firewood, London November 4th, 1940. Home guard taking ladies through their drills on 4th November, 1941. 8 responses to On This Day…4th November. You are a shrewd one, Abrahamson. But also correct. I’m spending a lot of time on trains, between reports/work projects, away from the home, and so although I have some time, it’s intermittent and not near the bench. But, like yourself, it doesn’t stop me appreciating the work here and the skills on show. Your work here is productive and inspirational. I make a point of following the local rags, read the Post and Times and then come over to iModeler for some history. With out it your lost and not grounded…feet on the ground sort of thing. I really like this series, David – again. Or, I should say still. Picture #2 is extra interesting to me … my (then) 17 year old (future) Grandfather, Frederick R. Bailey was a “muleskinner” down on the Texas-Mexico border helping to chase Pancho Villa as part of Pershing’s Expeditionary Force. I don’t think he actually “skinned” any mules – why would he? – but I think he was a driver of mule teams. Those Bailey Boys were/are an interesting and lively bunch, Jeff.